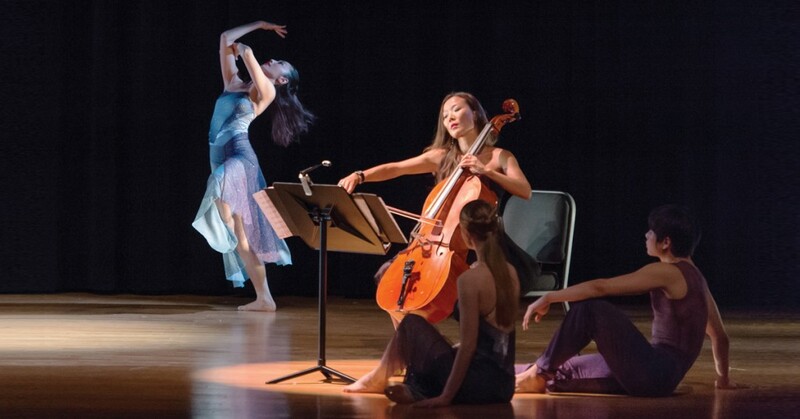 A Quest for Freedom is inspired by the personal stories of Nai-Ni Chen, a Taiwanese choreographer-dancer who emigrated to America and the Ahn Trio, three sisters (Angella and twins Lucia and Maria) born in Seoul, Korea who moved to New York to train at The Juilliard School. This captivating full-length multi-cultural production examines leaving one’s home, family and friends to embrace new dreams and freedom. Nai-Ni Chen’s movement language draws from the flowing lines of Chinese calligraphy to the explosiveness of martial arts to the innovation of contemporary dance taking audiences beyond cultural boundaries. The Ahn Trio is seamlessly integrated into the choreography creating a visually and aurally delightful experience. The talented and glamorous musicians were named three of People Magazine’s “50 Most Beautiful People.” National Endowment for the Arts Fellow Nai-Ni Chen is the recipient of China’s coveted Golden Lotus Award. NextMove Dance offers affordable $20 student tickets in advance. Tickets will be available two weeks prior to opening nights of each company.There are $10 Student Rush tickets available the day of the show one hour prior to curtain. Student Rush Tickets are available at the Box Office Only and a valid student ID is required. Student tickets are based on availability and cannot be combined with any other discount or special offer.